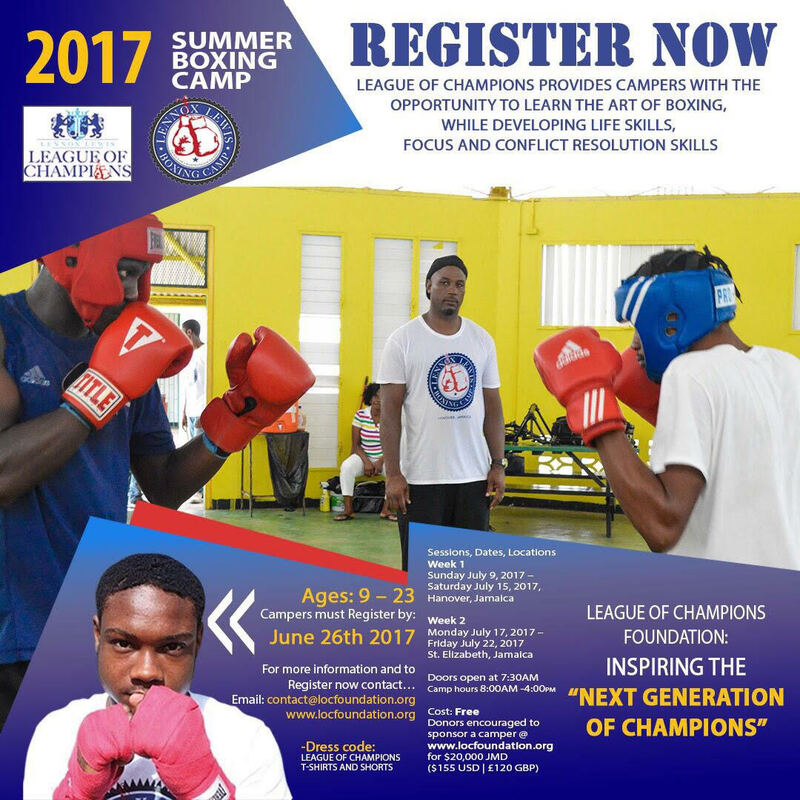 The League of Champions Foundation is happy to announce that Summer Boxing camp 2017 registration is now open! League of Champions will be hosting two sessions in July with approximately 60 campers in each session. Camp will be held inside a fun environment where we will teach our campers not only the art of boxing, but we will be incorporating a variety of recreational activities (sporting drills, yoga, cardio workouts, etc..), sharpening their life & interpersonal skill sets all while cultivating new friendships. All boxing equipment will be provided | Nutritious breakfast and lunch is served daily. Periodic breaks provided throughout the day. Campers dress code: League of champions T-shirt, black shorts and running shoes.